Virtual Assistant Inc. | Virtual Assistant Inc. Currently, the whole world is experiencing a global financial crisis. Everyday, the number of people being discharged from work grows and companies look for better alternatives just to cut off costs. Mostly, one of the highest percentage of these costs goes to wages, benefits and taxes for employees. In response to the crisis, companies nowadays consider hiring virtual assistants instead of having in-house employees since employment process takes higher cost and longer time. Virtual assistants are well-trained professionals in their fields. Virtual assistants duties include, (but of course not limited) to the following: Administrative Office Support & Management, Project work: article writing, blog posting, editing, Business Operations Support and Start-up Assistance, Lifestyle Management Solutions/Consulting, Accounting and Bookkeeping Services. These tasks being outsourced are tasks that take time and sometimes people in charge are incompetent and lack basic knowledge about the task. With a virtual assistant around, you can free yourself from burden and focus more on designing strategic plans that will drive more revenues to your company. Some of the issues being raised by companies in hiring virtual assistants are the security at risk, costs and assurance that their virtual assistants are really working on the tasks. Outsourcing companies such as Virtual Assistant Inc. always prioritize their clients’ benefit and satisfaction more than anything else. Thus, they design a reliable and secure procedure on how clients can deliver and receive documents and information. Monitoring systems are being installed to assure clients that their assigned virtual assistants are doing their jobs. Like others, Virtual Assistant Inc. provides the same efficient output before time lines in lesser costs. For as low as $6 – $20 dollars per hour, Virtual Assistant Inc. can provide you with a highly trained VA to do your tasks for you. Looking for ways to cut costs, hire a virtual assistant! Start your search with Virtual Assistant Inc., your dedicated online assistance provider. Internet marketing, referred as web marketing or online marketing, is another means of having products and services promoted or sold via the internet. 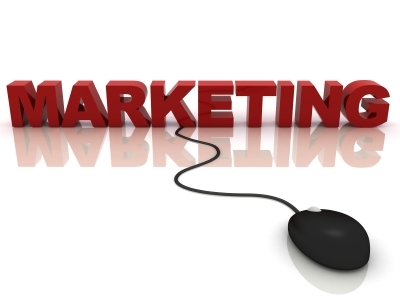 The creative and technical aspects of the Internet composes Internet marketing. These includes design, development, promotion, advertising and sales. Internet marketing does not purely implicate website building and promotion or link building your website to other websites. Effective internet marketing demands for broad or complete strategy that will entail or show the company’s business model and sales goals. These marketing goals should be visible through the website’s functionality, design or appearance. Furthermore, it must focus on its prospected market through choosing the proper types of medium to use. Effective and successful Internet marketing means creating a valuable website. Add relevant contents that will display the company’s business goals and provide readers with new and up to date information. After adding rich contents, draw others into your website. However, in adding links one should be selective towards websites to link up to since these links should increase the quality of your site. Take in consideration those websites that are popular and associated to your business. Effective internet marketing also means to have your website at the top page of every related search results. How can you be able to attain that? Add terms that pertains your website. This procedure is known as website optimization. Website optimization is to add meta tags, keywords and contents that is related to your website. What does Virtual Assistant means? Virtual Assistants are well-trained entrepreneurs that provides professional assistance to clients. These entrepreneurs attends to their clients needs with the use of communication technologies such as Internet and email. Why consider hiring Virtual Assistants? Time saving. Businesses save time in hiring, training and supervising new employees since VAs are well-trained and considered experts in their fields. They can handle their tasks without extensive supervisions nor instructions. Provides better project management. Virtual Assistant switching or changing is much easier compared to the usual firing and hiring process of employees. The skills of your virtual assistants has been known to you from the start of the project and if a needed change arises and the required skills that this change needs doesn’t match up with your current VA’s skills, you can easily switch into a more capable VA to have the project finished. Higher business financial efficiency. Expenses, cost or outflow is more manageable when having a Virtual Assistant since VAs’ cost will immediately be allocated to the project while in having regular employee, parts of the project cost will go to training and other benefits. Virtual Assistants are more committed. Clients satisfaction is highly valued by VAs and with that they provide genuine interest in helping their clients to succeed. Compared to employees, they rarely share the same vision because of less risk as that with Vas. Using effective internet marketing combined with a highly-trained VA will eventually result to an increase in business profits. Through our effective internet marketing strategies and by having highly-trained virtual assistants, WE, Virtual Assistant Inc. team, will give you our utmost support not just by helping our clients in growing their business goals as a whole.